Will I lose drawing whole deck with Ad Nauseam and phyrexian unlife? Does Angel's Grace beat Laboratory Maniac? Is there a limit on the amount of life I can pay with Plunge into Darkness? I think I've commented on this before, but I'm curious as to just how fast you can consistently win on the spot? I'm familiar with all of the Ghave combos, being a Ghave player myself so no need to explain them. How well does your deck do in a Cedh environment? How fast can this deck consistently ramp out and be close to winning? 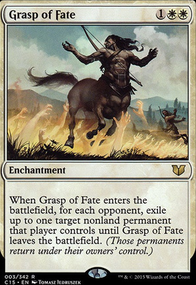 My variant of Ghave is based around Ad Nauseam and Earthcraft . I play in an OP Cedh crowd, and I often think of adding more combos to fall back on, like the persist stuff. But I feel like it would slow my deck down a lot. 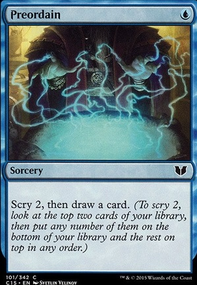 I also notice you don't run the fast mana rocks so I assume you're not playing Cedh, but how fast can you consistently win? Gleeock: I've considered it, actually. 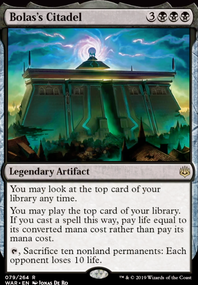 MAYBE still might have a home, but I'm dubious (mostly because it screws you over SO hard if it gets countered, and hurts off of Ad Nauseam ). I was wondering what you think could be removed or replaced to create a more budget friendly version of this deck. 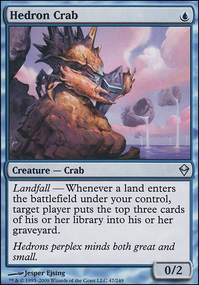 I really would like to be able to play an Ad Nauseam combo deck, but I do not have the budget to spend on a high tier version of the deck at the moment. I know some piece are more crucial than others, so I am looking for things that might be able to slide in a less competitive environment or can easily be replacements until I can acquire their competitive counterparts. 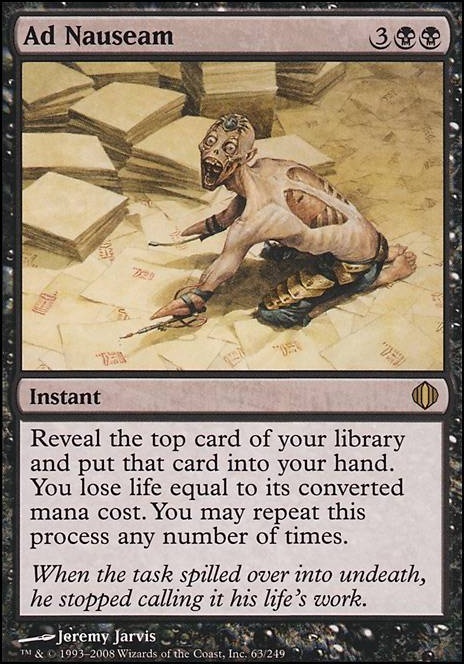 I'm not familiar with older meta's, but I do know how powerful Ad Nauseam and Necropotence can be. lol The deck has hella removal and is low to ground for nauseam, minus Gurmag Angler . 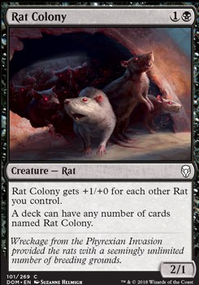 Which I assume this deck generally casts for about 1 mana. But with necropotence exiling any discard and nauseam burning you for 7 if you draw into angler, I could see Death's Shadow being a better fit in its place if your budget allows. It's expensive, but man would it be good here.